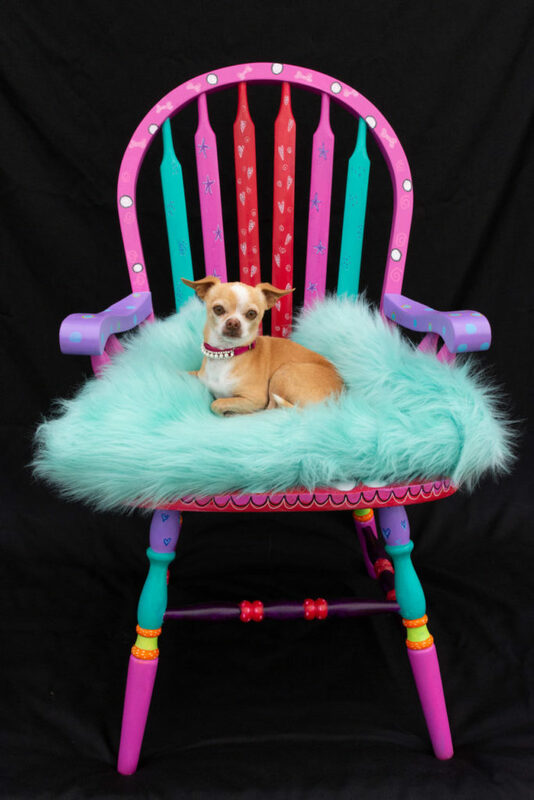 Take a stand for animals by sitting down during Friday Harbor Animal Protection Society’s fundraiser featuring an auction of painted chairs by local artists. “All funding will go toward our operating expenses,” said Jan Murphy, animal shelter manager, noting that one of their major expenditures is veterinary costs for the animals. 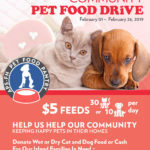 Costs for dental care, spaying and neutering and other health issues that may arise are provided for by the shelter until the pet finds a forever home, according to Murphy. These necessary expenses add up. The fundraiser “Take a Seat for Animals – A Wine Tasting and Painted Chair Auction” takes place from 6-9 p.m., July 20 at Brickworks. 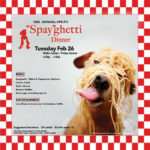 Tickets are available at the animal shelter, Friday Harbor Pet Supplies and Treasure Hounds. Tickets cost $35 in advance or $40 at the door. Besides the wine tasting, there will also be a no-host bar and hearty party appetizers. The silent chair auction will last until about 8 p.m. These unique chairs were each designed by island artists Jaime Ellsworth, Patti Barker, Francie Hansen, Maria Michaelson, Dona Reed, Carla Seaton and Cinda Sue Dow and can currently be viewed at Islanders Bank, Mikes Wine Bar, Friday Harbor Pet Supply, Treasure Hound, Mi Casita and The Bean Cafe. Attendees may want to pay attention to the auction results since bid winners will automatically be placed in a raffle, with the prize being a stay at the Fairfield Marriott, and a tour of the winery, Murphy said. The wine tasting will feature award-winning reds, whites and rose from the Maryhill Winery. This Washington winery has provided wines for several large events, including concerts at the Gorge Amphitheater, according to Murphy. The winery staff is also known for coming to the islands, Murphy said. Attendees will have the opportunity to win a bottle of wine through a wine pull. For $20 an individual will pull a number out of a basket and win the number that will be on a bottle of wine that has a minimum value of $50. 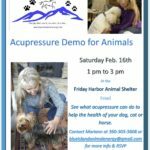 The staff and volunteers would like to thank the sponsors for this event: Friday Harbor Pet Supplies, Island Veterinary Clinic, Coldwell Banker and Islanders Bank, Murphy said.